Wasps are multiplying in your surrounding zone with each passing day. You have used wasp control solutions, but all in vain. You have not been succeeded in eliminating wasps away. What is the optimum option? 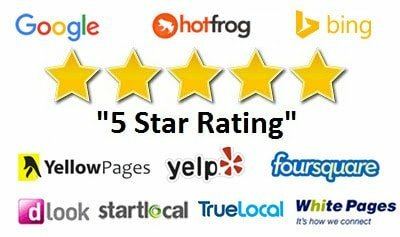 Call our staff to hire our pest experts who have the eradication technique with them. Summer months beckon all people to get out of their homes and spend some time in outdoors. People host a barbeque party for adults and an ice-cream party for kids in the garden. Along with your guests, you unknowingly invite a few wasps in your outdoor party to get the taste of the yummy foods kept in the outdoor table. Summer is the season of wasps when these insects infest at residences and other places. Just like you, wasps also are fond of foods eaten by human beings. These pests too love to taste the flavors of ice-cream, as wasps have a bit of sweet tooth which makes them crave for sweet-based items. Once wasps happen to enter your zone, then you will see a large number of infestations in the next to no time. 193. It is natural to get confused wasps with bees, as these two pests almost look alike. Talking about the appearance of wasps, the body of wasps is divided into three parts such as thorax, abdomen and head. Wasps have got six legs with erect antennae above their heads. These insects also have mouthparts for chewing food and other items. You will find hind wings and fore wings attached to the body of wasps. You will happen to see various colors of wasps. The colors of wasps are vibrant blue, light brown, red, black and yellow. Some wasp species have sweet-based food and other delicious protein-packed food of human beings. Other species of wasps have other insects as their food. It is difficult to say a correct size of wasp because these pests can be seen in various sizes and shapes. You should get a regular wasp treatment from an experienced pest control company. Our pest control company is one of the best in Brisbane location. You can have wasp control services from our pest control specialists who will give their best shot to rid you of from wasp infestation problems. Wasps do not pose a risk to your home. These pests have a habit of stinging human beings when they feel they or their colony is threatened by humans. The stings of wasps are not good for the victims. When a wasp sting, the insect pass through venom into the skin of a person. The venom turns out to be harmful, as it can end the victim’s life. It is important to remove stings as early as possible. Some people can even experience allergies and asthmatic issues after the stings. Medical attention is needed at once to ease off the painful reaction of stings of wasps. How to know if there are wasps infestation around? If the nests of wasps are situated out of sight, then it would be tough to detect the infestation zone of wasps. When the infestation goes out of control, then the sight of wasps will be visible to you. The insects will fly around you or near your home which will be a prominent sign of wasp infestation in the surroundings of your property. 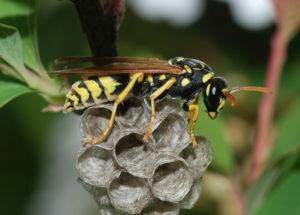 The size of the nest of wasps is small at the initial stage. As the population of wasps develops in the colony, the size of wasp’s nests tend to extend. The nests of wasps are made up of chewed wooden pulp. You may find the nests in the structures of homes, on trees, in drains, under slidings and so on. Get an in-depth information on the nests of wasps from our trained “wasp control Brisbane” pest officers. You will find different social habits of different wasp species. Before you rush to the stores to get hands on some pesticides for killing wasps and their nests, you should halt for a while. You should know which species of wasps happen to breed often in Australian region. The wasp species such as paper wasps, spider wasps, social wasps, red wasps, wood wasps, parasitic wasps, paper wasps and ground wasps keep lurking around your place. In our wasp treatment Brisbane solutions, you will know the all about wasp species from our qualified and certified pest technicians. Will it be a smart step to eliminate wasps by myself? Upon finding out wasps’ infestation in your residential or commercial territory, it is natural that you would try to attempt a few wasp pesticides at your place. By doing so, you will bring more danger in your house because you have less idea about the wasp pesticides to be used on the infested wasp specie of your location. To avoid unwanted hassles, you should get in touch with our wasp control Brisbane professionals who are skilled in eliminating wasps species from your existing location by making use of correct wasp solutions. Our method of eradication of wasps is to perform a thorough assessment in your territory which will help our pest controllers know the exact spots of infestation. The wasp treatment Brisbane plans will be implemented by our pest specialists to obliterate the existing wasp colony and stop new colony of wasps from invading in your surrounding areas. Our enviro-friendly wasp solutions will eliminate the nests and put an end to the lives of wasps. What will be the cost of our wasp solutions? You can be at ease, as you do not have to pay a large sum of money on our wasp pesticides, baits and surface sprays. Our wasp control services can be availed at a price which would not break your bank. The price of our wasp services can be known from our staff. All you have to do is to give a ring to our staff and tell the problem of wasp infestation. They will tell you the estimated price. You can also log in to our website and fill the details in our online form to get a quick quote.